Dr. Muto is actively carrying out online medical consultations in his medical clinic. He is also involved in development to enable his online consultation system to complement face-to-face consultations. We have invited Dr. Muto to speak today about the value and challenges of online consultations from the perspective of a clinical doctor. 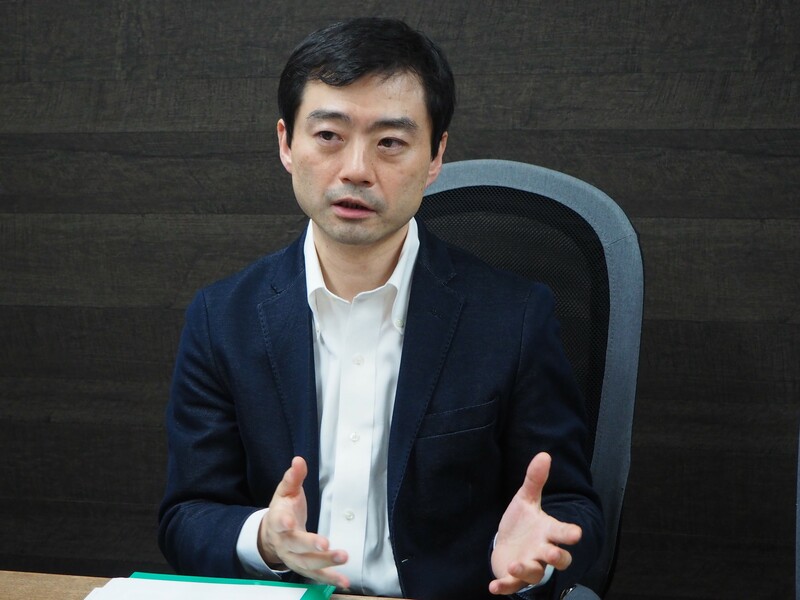 However, before we proceed to the discussion of online consultations, we would like to hear your opinion, Dr. Muto, on what are the particularly important challenges facing the Japanese healthcare system today, and what issues should take priority? From the perspective of clinical practices, there are now three challenges. One is the increasing difficulty that patients face in accessing medical care. For example, as the Japanese population ages, the number of people who live alone is increasing, as is the number of patients who cannot make necessary trips to receive outpatient services. This is because of a decline in physical, mental, and cognitive functions among these patients, all of which makes it harder for a larger number of patients to visit healthcare facilities by themselves. At the same time, doctors too are ageing, and this means that in the future, the number of regional healthcare facilities in particular is expected to decline. What’s more, problems related to mobility are emerging in rural areas, including issues concerning means of transportation. This implies that perhaps medical institutions should go to the homes of patients, as doctor’s do when they perform home medical care. But this will prove difficult. The way the home medical care system is set up now, it imposes a large burden on doctors. This is especially true for healthcare facilities that have only one doctor, which consequently have trouble providing the year-round 24-hour service that is a fixture of the home medical care system. At any rate, as things currently stand, the “physical access” aspect of the patient-doctor relationship is set to deteriorate in the future, and this is one of the major challenges we face. As you just pointed out, the level of access to medical care that patients have differs slightly between cities and rural areas. Do you think that access to medical care will start to get worse in urban areas as well? Yes. The number of people living alone in cities is increasing every year, and the number of patients that have trouble going to the hospital is undoubtedly increasing. There is a real possibility that in the future, an increasing number of people living in cities will have nowhere to go when they need nursing or medical care. In rural areas, the price of land is cheap, which makes it easier to build facilities for the elderly compared to urban areas, where land is expensive, and facilities cannot easily be built. If we don’t have a sufficient number of facilities, there is no other choice but to focus on family caregiving at home. However, people living alone in cities cannot necessarily receive medical and nursing care from family members, so for them, access to such services will become a challenge. I think that online consultations will naturally have a big role to play for the issue of access to medical care, because online consultation systems make it possible to provide examination and monitoring services from afar. Do you think that these systems will become important in urban areas as well, outside of rural and depopulated areas? Please tell us about the second challenge you mentioned. Yes, they will. The second challenge has to do with communication. As the population ages, the incidence of non-communicable diseases will rise - in other words, the number of patients with chronic diseases will increase. In the case of chronic conditions, medical care in the future should focus on interventions that can bring about change in people’s everyday lives. On this point, many healthcare facilities are now offering patients once-a-month, short consultation in which they inquire about the patient’s everyday life, take blood tests, and provide medicine and medical guidance. This is not enough. Chronic conditions cannot be cured by treatment in healthcare facilities alone. In order to change the everyday habits of patients, it is important to work on initiatives that can increase opportunities for communication with patients, the frequency of those communications, and their quality. These initiatives could prove more effective than just offering medicine. I see. And what is the third challenge? The challenge of patient adherence. At a basic level, humans possess weak resolve. Many patients neglect to take their medicine, or fail to follow instructions. This is a fundamental human weakness. These are the three main problems I have identified through my clinical practice. Online medical consultations have a role to play in addressing all of them. Based on what we’ve heard from you, ageing is the major cause of these challenges. But what about the problem of the low-birth rate, which we are also facing now? Do you think online medical consultations have a role to play for that issue too? I will give one example of a challenge related to the low birth-rate. Although the number of women who resume work after giving birth has increased in recent years, I do not think that we have yet established an environment in Japan in which mothers can truly raise their children with complete peace of mind. For example, if a child suddenly develops a fever at a day nursery, women are often forced to immediately go to the nursery to pick them up. From an employment perspective, the need to physically care for a child and oneself may pose a barrier to working during pregnancy and in the post-partum period. Related to this point as well, online medical consultations could serve as a measure against the declining birth rate by making it easier for mothers and children to receive medical consultations. In order to receive medical care at a healthcare facility, a patient must complete a series of unproductive procedures, including going to the facility, waiting, receiving a consultation, receiving medicine, and returning home. We should make this process easier to the extent we can. This question may overlap with some of what you have already said, but could you please tell us which groups you think will see the most benefit from online consultations – among both patient groups and the general public? 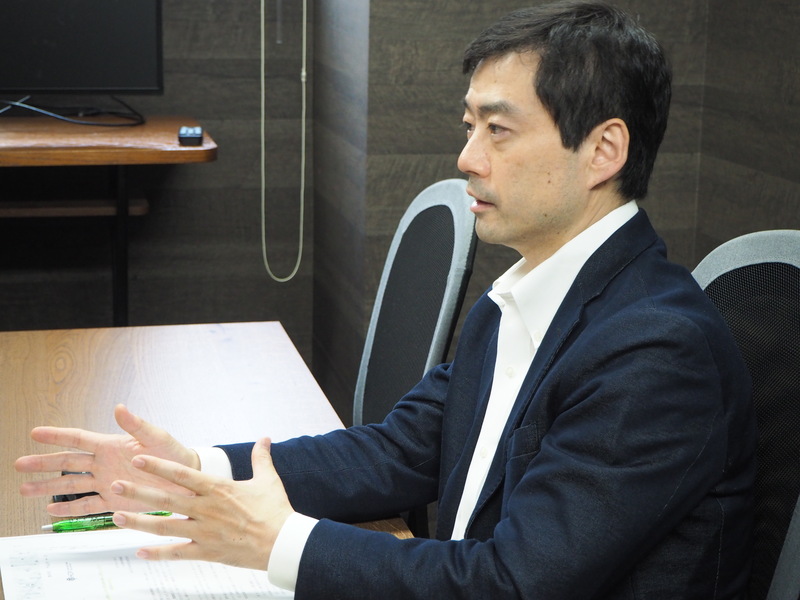 Based on my experience carrying out pilot projects together with Fukuoka City and the Fukuoka City Medical Association, I have identified three main groups that I think could benefit most from online consultations. The first group is people who have trouble visiting healthcare facilities because of busy work schedules. Online consultations could be of great benefit to people who find it hard to go to hospitals because of working arrangements and shifts, not only by minimizing the burden of commuting to facilities, but also by improving adherence and preventing the aggravation of symptoms by making it possible for them to receive regular examinations. Second are caretakers who shoulder the burden of attending to people requiring regular visits in hospitals, including frail patients. I think that we could potentially resolve the problem of seeing so many people quit their jobs as caretakers if we could reduce the work burden that caretakers face through online consultations. Online consultations could also of course reduce the burden placed on frail patients by needing to make physical trips to hospitals. For both caretakers and patients, online consultations could effectively replace certain regular visits to hospitals. We should enable people to make use of online consultations at an early stage, before their problems worsen. The third group is people receiving home medical care. There are various facets of online consultations that people receiving home medical care could benefit from. For one thing, they could reduce the burden of care placed on doctors. As things stand, doctors have to attend to such patients at their homes whenever they call, even in the middle of the night. In actuality, about half of all calls could be probably handled just by giving instructions to patients remotely, without the need for an actual visit. In home medical care situations, many people often call their doctor whenever they feel slightly uneasy, and for that reason as well, online consultations are better than phone consultations, because they allow the patient to see the doctor’s face. This alone can bring relief to patients, or help them sleep at night, or help their pain subside. I myself have had such cases. Doctors are able to judge whether a patient is well or needs a visit merely by talking to them and examining their face. In this way, online consultations don’t just bring relief to patients and their families, they also reduce the doctor’s workload. Based on the pilot projects, I have identified these three groups as standing to benefit most from online consultations. Certain items pertaining to online medical consultations were added to the health insurance reimbursement fee schedule when it was revised in April 2018. Do you think that online consultations entail any challenges or barriers related to the building of patient-doctor relationships? There will be some challenges, of course. One challenge will be whether patients who are unaccustomed to devices such as smartphones will be able to use online consultations in the first place. What I mean is, online consultations may not work for every patient. I think it is necessary for patients to possess a certain level of knowledge related to digital devices, or there needs to be people around them who can help them. Doctors now use smartphones for online consultations, and I think one solution to the issue of tech literacy will be to use some kind of interface that is more embedded in people’s daily lives. However, naturally, not everyone can use smartphones. That will be the case with any other device as well. There will always be the problem of device literacy. The second challenge will be how to help people who would feel more secure with a face-to-face consultation. Some people tend to feel uncomfortable about online consultations based on the belief that a “proper” consultation should take place in a medical clinic and in the actual presence of a doctor, while still others might feel that they don’t care if face-to-face consultations are more expensive because they think it will give them more time with a doctor. Some still just do not like the idea of online consultations in the first place. Another barrier is the issue of how to help people who are excessively concerned with issues of security and privacy. All of that said, what I have realized after carrying out pilot projects is that, with online consultations, doctors and patient can have meaningful conversations even within a very short time, whereas, during busy times at a clinic, face-to-face consultations can sometimes be rushed or done without too much care. We have experienced elderly patients say that they can see the value in online consultations, so we just need to study how to achieve the right measure of security and privacy. At any rate, if we cannot come up with an appropriate response for people concerned about security and privacy, I don’t think that the use of online consultations will be able to spread through society. By all of that you mean, even though online consultations can help address the problem of unfair access to healthcare to a large degree, nevertheless some people still cannot make use of such consultations, including elderly people who cannot use digital technology, and people with low incomes who do not have smart phones. Is that right? As such, do you think that online consultation may end up increasing disparities in access to medicine? People who possess a certain level of IT literacy and those with higher incomes could benefit from better access via online consultations, but perhaps those who do not share these characteristics may not see any improvement. Until the issuance of the March 2018 policy on the proper application of online medical consultationsi, it seems there were some online consultation services that were charging reservation fees. I am opposed to that kind of set-up for these services. If online consultations are not covered by insurance, or if online consultation services only target people who are wealthy or able to use IT devices, the use of online consultations will not spread throughout society at large. I want to stress that the three challenges I explained a moment ago do not belong just to the world of uninsured medical services. They are major challenges that even doctors offering other services covered by insurance regularly deal with. I want to find proper solutions to them. To be sure, we cannot say that no new disparities will be created by online consultations, including those related to IT literacy. The fee set for online consultations within the health insurance reimbursement fee schedule revision this time was lower than the fee set for normal medical consultations. I expect that we will see growth in online consultations at the point where they are given more points in the revision process than normal consultations. On the other hand, this is a new development. We still do not have a robust system in place to facilitate online consultations, and so disparities related to income and IT literacy are bound to emerge. Besides, especially among the elderly, many believe it is better to actually meet with a doctor face-to-face. If such impediments take root, I believe inequalities will arise. In any case, it is not productive to engage in arguments about whether face-to-face consultations or online consultations are better. I always say that face-to-face consultations should be the fundamental standard for medical consultations. My stance is that online consultations won’t create any barriers at all for face-to-face consultations, and moreover, they may be very useful for certain groups of people. Given that our current system won’t be negatively impacted by online consultations, I think the likelihood is low that any disparities brought about by online consultation will have harmful consequences. On the other hand, it is a fact that young people are more adept at using IT devices than the elderly. It is plausible that we will see the emergence of a group of people who can completely manage their health using online consultation devices. That would create a kind of disparity, and I want to investigate disparities like that over the coming two years. The policy issued in March 2018 is stressing the importance of gathering evidence on online medical consultations. We currently do not have evidence related to the safety and efficacy of online consultations compared to normal consultations. In your opinion, what kind of evidence should be collected from now on? As you have just pointed out, evidence is certainly important. However, no one really knows yet how to go about gathering evidence on online consultations. 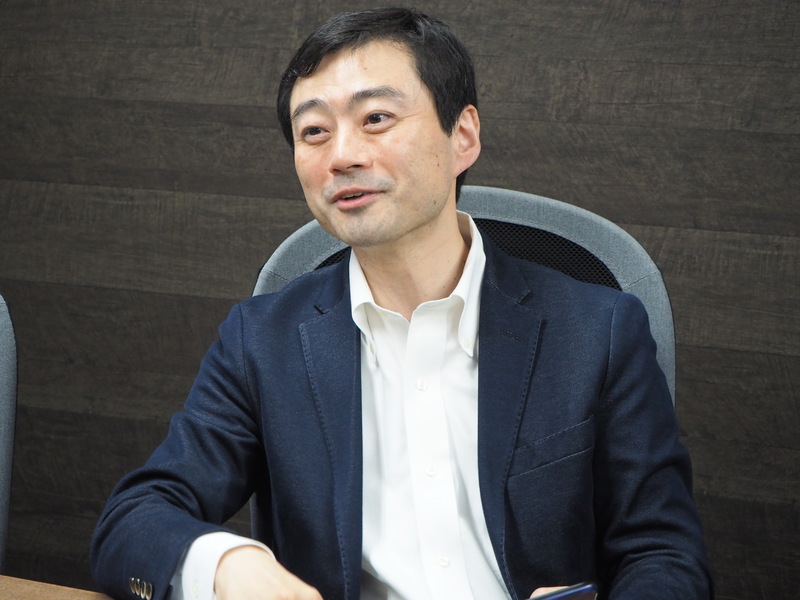 The project we carried out in Fukuoka was regarded as one model to do so, and was used as reference when the current guidelines and policies on medical reimbursement associated with online medical consultations were set. Of course, those guidelines were not determined based on our project only. It has been decided that the period of operation for the working group I established with Fukuoka City and the Fukuoka City Medical Association will be extended for two more years. We are the only group in Japan gathering evidence and creating case studies related to online consultations with a medical association. We are the only ones trying to determine the good and bad aspects of online consultations right now, and I don’t expect that we will see other situations like ours – where fieldwork is underway with the support of medical associations – in the near future. 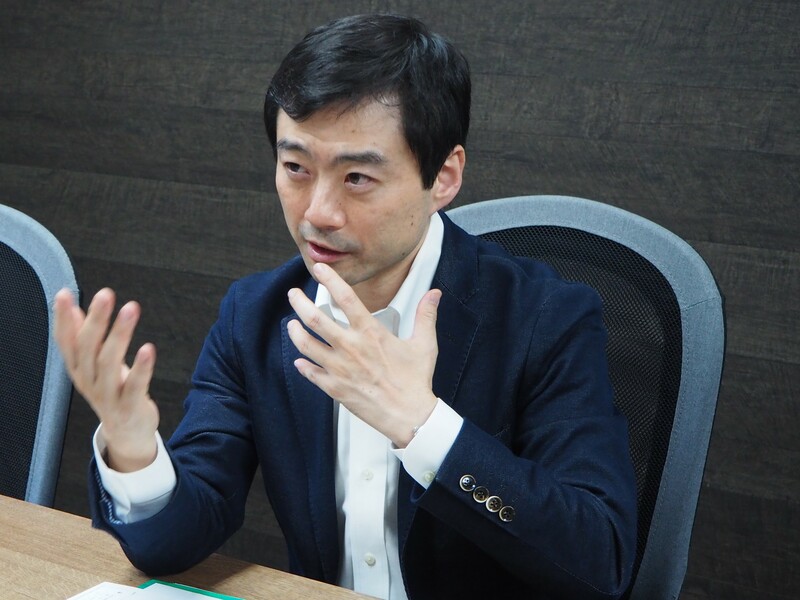 As someone who was involved to some degree in planning the system for Fukuoka City, I would like to continue to monitor online consultations servicesii not only in medical institutions that are using our online medical services, but in the whole of Fukuoka City. This is our social responsibility. We should further confirm the safety of the system we have created as we carry out our pilot project. However, there is as of yet no benchmark we can use to begin to think about the safety and efficacy of online consultations. As a matter fact, even the safety and effectiveness of the current system of face-to-face consultations hasn’t been evaluated. For example, if a patient is misdiagnosed via an online consultation and dies, people might blame the consultation method and believe a face-to-face consultation would have been better for that patient. However, with face-to-face consultations as well, a great many instances of misdiagnoses happen too. People experience grave outcomes as a result of misdiagnoses occurring during face-to-face consultations, and yet we do not try to gather evidence on the safety of this consultation method. I do not think we can achieve a serious evaluation of the safety of online consultations unless we validate them and discuss them based on objective data. We must go into the field, collect clinical data, and compare that data with data from the usual face-to-face consultation system. If we gather data in this way, we can identify the bad aspects of online consultations, and hopefully address any aspects that might make online consultations unusable for people. I think gathering evidence to that end is a priority. Lately, we have been hearing about disparities in primary care quality. For example, international comparisons point out that Japan is doing bad at controlling HbA1c levels among diabetes patients. What is the value of online medical consultations for improving the quality of primary care? I definitely think there are issues in Japan related to whether the quality of primary care is high or not, or whether there are variations in quality at different practices. It is not easy to say if the quality of primary care as a whole will increase thanks to online medical consultations. We heard from you about the barrier to entry related to online consultations from the patients’ side. Are there any barriers to entry from the point of view of medical practitioners and healthcare institutions? I think there are. One is the low level of IT literacy among doctors. About 70% of doctors use paper medical records. There are virtually no doctors carrying out online consultations at this time. Another issue is some doctors believe in a kind of “face-to-face consultation myth” – they believe that face-to-face consultations and online consultations are somehow in competition with each other. As I pointed out earlier, I don’t think that’s the right way to see it. I see the role of online consultations as being complementary to that of face-to-face consultations. For example, through online consultations, we could ask the patients questions about their medical history, perform simple statistical analyses, follow medical changes, register new issues over time, and perform routine checks on vital signs. We should consider how to combine these merits of online consultations with face-to-face consultations. I think one barrier to the expansion of the use of online consultations is this belief that doctors must make an exclusive choice between completely switching to online consultation or keeping to face-to-face consultations only. There are other challenges as well, such as the difficulty of managing the system, concerns about security, and set-up costs. For example, if the amount of monitoring that it is possible to provide a patient increases thanks to online consultations, the roles of doctors and medical personnel could gradually start to change. In that case, would it not become necessary to make changes to medical education and the training of doctors? I believe that medical education and post-graduate training programs should change. Some are calling online consultations the “fourth type of medical care” after hospitalizations, outpatient care, and home medical care. But as I mentioned earlier, I have a slightly different image of online consultations. All other forms of medical use face-to-face consultations - in other words, they happen offline. The role of online consultations is to complement those face-to-face consultations. Online consultations are an extension of what we have been doing in medicine to date. However, providing diagnoses while considering data and charts is not something we doctors are necessarily taught in medical school. There is information to be gleaned from looking at data and charts. The blending of such data with observations from face-to-face consultations could help us to provide more efficient and higher quality medical care, but this is a new way of doing things, and we doctors have not learned quite how to do that yet. This new way of doing medicine must be taught in universities and in post-graduate training. Naturally, as more and more data goes online, doctors are going to have to face more and more problems that they never had to deal with before, such as the issue of hacking. Doctors should equip themselves with the requisite knowledge to prevent such occurrences. I think medical education should change. Within the new policy, there was language on medical education. I think those clauses were put in the policy with the intent of addressing the concepts I have just mentioned. You have a lot of experience actively incorporating online consultations into your clinical practice, and I think that this conversation has helped us to learn about the real value and challenges related to online consultations. Thank you very much. 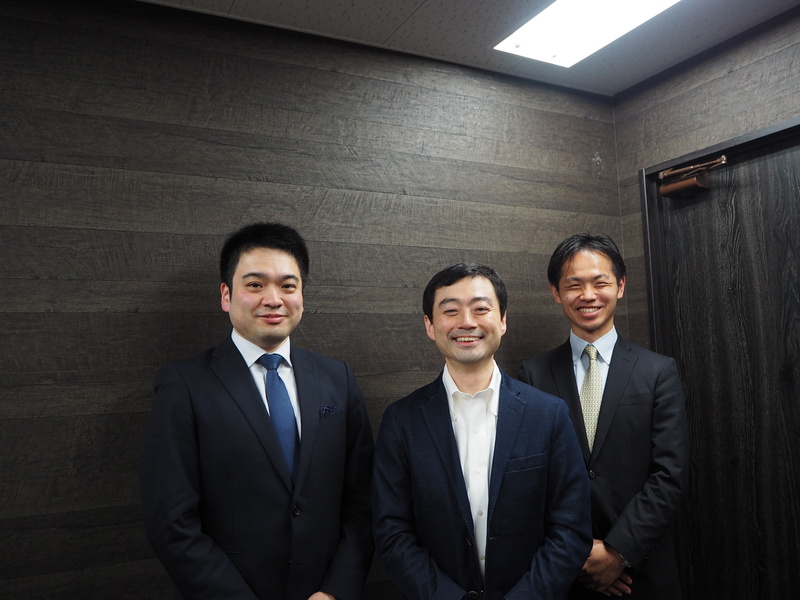 ii Integrity Healthcare Co., Ltd (Representative Director: Shinsuke Muto) sells the online medical consultation systems “YaDoc” (https://www.integrity-healthcare.co.jp/service/).